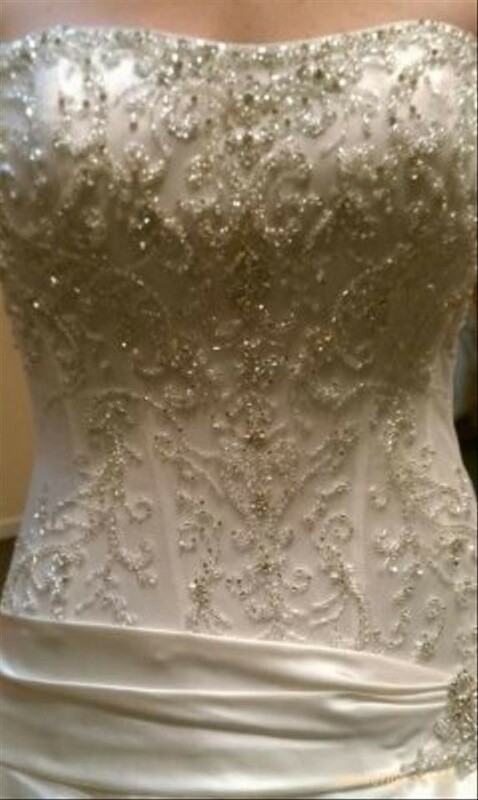 A beautiful alabaster ball gown with swavorskian crystals studding the bodice and base of the corset back. It has a wonderful train and in pristine conditions. It has had absolutely no alterations to length or body, it's only had a bustle added to the train. Only had a bustle added.